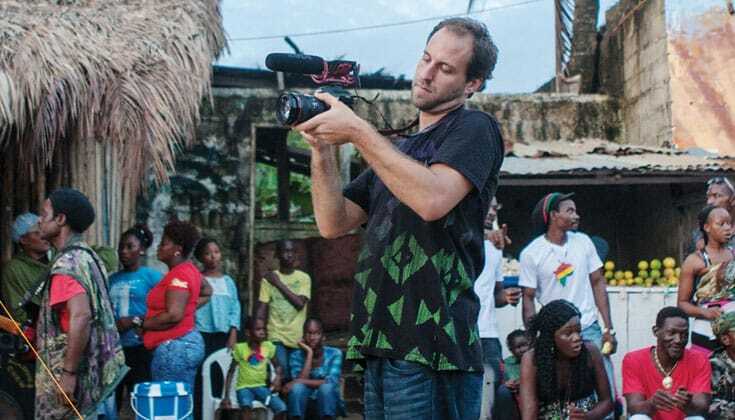 It was a big story: NBC cameraman contracts Ebola in Liberia. He was flown to the U.S. for treatment, and there was national relief when he recovered. Few noted the significance of his unusual name: Ashoka—the first Buddhist king of India—and Mukpo—family name of the famed Buddhist teacher Chögyam Trungpa Rinpoche. Journalist Ashoka Mukpo is the son of Lady Diana Mukpo, widow of the late Trungpa Rinpoche, and physician Mitchell Levy. He was even recognized at a young age as a tulku, the rebirth of an important Tibetan teacher (“a reincarnated Tibetan god,” one sensationalist tabloid called him). In person, he is thoughtful, articulate, and deeply devoted to both his Buddhist practice and his work for the people of West Africa. Ashoka Mukpo discusses in detail his Buddhist practice and how it helped him get through the ordeal of Ebola. Andrea Miller: You lived in Liberia for a couple of years, and then returned to help when the Ebola crisis broke out. Were you afraid? that what you’re doing is dangerous or that you have to be thoughtful about how you proceed. I tried to be rational and really examine how to keep myself safe, even as I tried to put my fear behind me. Mukpo sprays chlorine into a car that had transported an Ebola patient to the Doctor Without Border facility in the outskirts of Monrovia. Photo by Tim Freccia. What was happening in Liberia when you arrived in early September? Most of the country felt very normal. 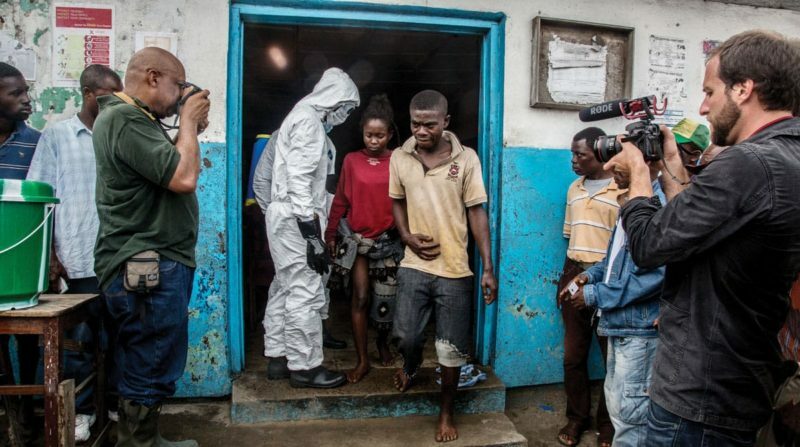 You could drive through Monrovia and not have any idea that there was an Ebola outbreak, except for the warnings on billboards and some of the radio jingles that would come on. For most Liberians, it was life as usual. You still had to go out. You still had to make money. You still had to take care of your family. You just had to make adjustments. You didn’t touch people. You tried to stay conscious of who was sick and who wasn’t. To see how bad things really were, you had to go to one of the places where sick people were trying to get treatment, and those places were absolutely awful. My first day, I saw people who were dying outside of treatment centers that were too full to let them in. I saw children who were so sick that they couldn’t stand. It was heartbreaking. Many people feel such intense sorrow when they’re in the face of suffering that they can’t even bear to look at it. How did you cope with seeing people suffer like that? If empathy freezes you and keeps you from acting then it can be a hindrance, but the ability to feel pain at the sight of other peoples’ pain is a really important part of being fully human. Now, for me as a journalist there was a need to compartmentalize. I felt sorrow for the people I’d see who were suffering but I knew that if I let that overwhelm me, I wouldn’t be able to do my job. Being a journalist can be very difficult, because whether you’re taking pictures of people who are in pain or you’re writing about them, sometimes you need to recognize the importance of the image or story rather than the immediate needs of that person. It can be a difficult line to walk. Sometimes you want to drop everything and get some water or food for someone who’s in pain, but what you really have to do is ask them questions or try to get a good shot of them. I felt that getting the story was an important pursuit but it was difficult. At night, before I’d go to sleep, the adrenaline would wear off and I’d start to think about the things I’d seen that day. They’d catch up with me. Ashoka Mukpo worked in Liberia for two years at the Sustainable Development Institute. When the Ebola crisis hit, he returned to work as a freelance journalist but felt ill the day after he was hired by NBC. Photo by M. Holden Warren. Did your Buddhist practice help? I think that meditation—and I tried to do some practice while I was covering the outbreak—helped to open my heart to what was going on for people. Good journalism is empathetic and insightful to the condition of other human beings. So the openness that Buddhism fosters in us can be very helpful to people who are trying to do good journalism. Do you think Buddhism makes people more compassionate? To be honest with you, no. I don’t think that Buddhist practice in and of itself makes us compassionate. 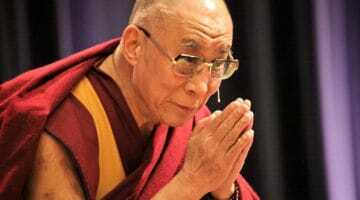 I think we need to have a genuine aspiration to develop compassion. The buddhadharma helps us develop wisdom and insight. Through the practice of slowing our minds down and examining our surroundings, we develop the ability to see clearly what’s going on in our environment. Then compassion is the key that unlocks the potential of that wisdom. But we need to have a genuine desire to become compassionate. It’s important to bear in mind that Buddhists don’t have the market cornered on compassion. Ordinary people who’ve never been exposed to Buddhism are some of the most compassionate, caring, and selfless people you’ll ever meet. So I think Buddhism gives us the tools to become compassionate but we need to have a real desire to manifest that noble quality on our own. Where does that desire come from? I think empathy for other beings is an inherent quality of being human. If we listen to it and have the tools, we can alleviate a lot of our own suffering by learning to be truly compassionate people. But it’s a difficult road. Spiritual teachers and other beings who’ve developed compassion inspire me to try to establish that quality in myself. Teachers who are really genuine have immense compassion. I look at Chögyam Trungpa and sometimes it’s easy to focus on his power as a teacher, but I think what was really special about him was his compassion. When did you first suspect that you were getting sick? I’d worked a long day with NBC and then I got into a car and I just kind of fell back in the seat. This strong ache ran down my back. I went home and took my temperature. I watched the dial shoot upward and every degree that it went up, my heart started to beat a little faster until it rested at 101.3. I took a second reading and it was the same. I knew I was in trouble. Pure fear. As practitioners, we’re training ourselves for unexpected moments, yet I didn’t have the capacity to do anything other than panic for a few moments. But, also, within that panic, I got very clear-headed and understood that there were things I needed to do. So I didn’t fall apart. I went around to every doorknob that I’d touched and wiped them down with bleach so my roommate didn’t have the potential of getting sick himself when he came in. I called loved ones. I made what I felt were the necessary arrangements to begin dealing with what might be about to happen. But in that first moment, I was just overcome by fear and regret and there was not an easy way to poke a hole in that. We make this effort in the buddhadharma to prepare ourselves for death. It’s a noble pursuit, and I think through years and years of training we can develop a healthy relationship with death. But for me—with my mortality coming at me that suddenly—I don’t think there was anything I could feel other than attachment to my life. I didn’t want to die. I wanted to live. When did you get your official diagnosis? 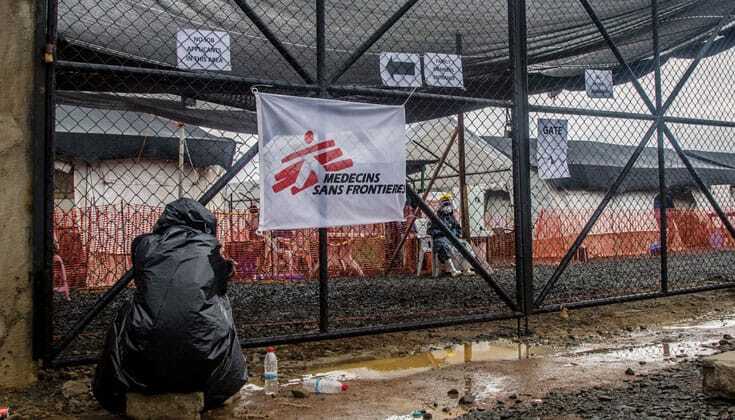 I had to go the next morning to Doctors Without Borders, which is a large facility on the outskirts of Monrovia. They were expecting me. They took me to a tent, sat me down on a cot, and took my blood. Six hours later they walked in wearing their full protective gear and said that I’d tested positive for Ebola. It was a moment of immense clarity. There was no thought. There was no discursiveness. It was a very vivid moment that was beyond concept. My situation had dramatically changed. One of my worst nightmares had come true and there was no getting around it. A man with Ebola symptoms waits outside the Doctors Without Borders facility where Mukpo was taken when he became ill. Photo by Tim Freccia. Did you do Buddhist practice at that point? I’m sure that the effect of being a practitioner kept me grounded but I didn’t have the psychological space to actually practice. Not in that moment. There was too much I had to do. I had to make phone calls. I had to begin preparing myself mentally. My practice came into play much more later, when I was very sick. There’s no frame of reference for me to describe how sick I was. In retrospect, it was manageable. If someone had told me, “You’re going to live, there’s nothing for you to worry about,” how sick I was would have been workable. But the fact that I was so afraid about whether or not I was going to live was the hardest part of it. That was actually worse than the symptoms. When the potential of my death came up, it produced sadness and attachment, pain and terror. I knew I had to do something practice-wise, because it was important to conserve my energy for the healing process. At first, I tried to be very aware of my body and surroundings, but I found that to be a bad plan because my body was in so much pain and my environment was so difficult that heightening my awareness made it harder for me to settle in. So at some point I stopped and I started to visualize Vajrasattva [a Vajrayana deity that embodies purity and cleansing]. That was the main practice that I did every few hours. I would visualize Vajrasattva above me and I would do the Vajrasattva mantra. Vajrasattva has a healing and calming effect. I found that visualization to be reassuring. It helped me balance my energy. Your case received a lot of international attention. I was touched and overwhelmed by the love I received from people whom I hadn’t seen in years, and in some cases, whom I’d never met. The love that I received from my Buddhist community, friends, acquaintances, and colleagues was really special. It made me appreciate how wonderful people are. You don’t get to see just how beautiful other human beings are until something happens to open your eyes to their kindness. 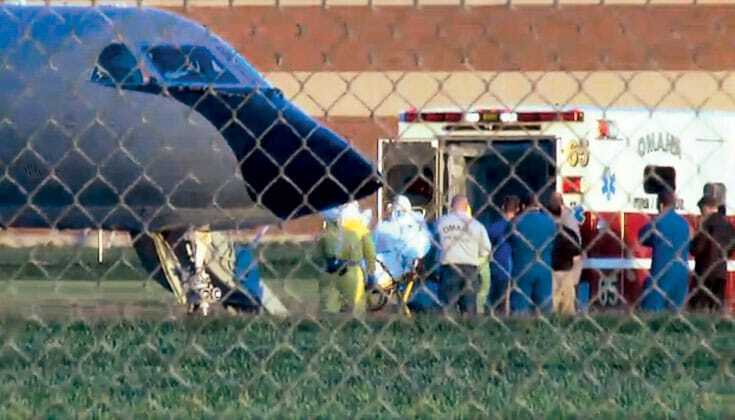 Mukpo is transferred into an ambulance from the specially equipped plane that brought him back to the United States. 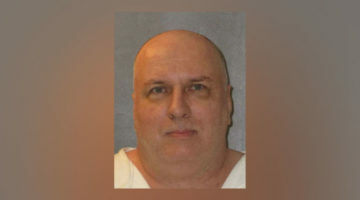 He was taken for treatment to the Nebraska Medical Center’s specialized isolation unit. Are you likely to have any lingering side effects? No. I don’t think so. I think physically I’m fine. Emotionally, it’s been a little delicate. I’ve been through a lot of trauma, but I feel pretty strong physically, psychologically, and spiritually right now. What was it like when you finally got to be with your family and partner again? Exquisitely joyful. I was worried that I was going to have to leave my partner and my family behind. It wasn’t fear of my own death that really troubled me. It was the impact that my death would have on people I love. So when I was able to see them and embrace them, it was a very special moment. I’m thankful that I was blessed enough to have that, especially given that so many people who contract this disease don’t. When people in Africa recover, many of them leave the treatment center and discover that half of their family is dead. So for me to be able to walk out and embrace my family was a profoundly fortunate occurrence. It gave me greater empathy for what some other people are facing and how painful it would be to live when your family doesn’t. It’s still all so raw and fresh that I feel like to say how it’s changed me is speculative. But it definitely has. When you go through something as big as this and you confront your mortality as directly as I did, it has an impact. I think it’s going to make me more empathetic, gentler, and more understanding of what really matters. Hopefully, I’ll be more able to see through surface-level irritations. I was blessed with so much good energy from people that I feel the need to pay that forward. 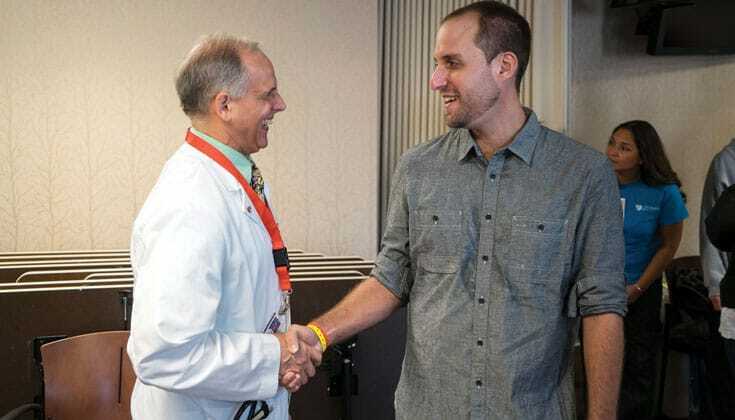 Mukpo shakes hands with Dr. Craig Piquette after being released from the Nebraska Medical Center. “The medical staff that cared for me was something special,” he says. “I am phenomenally fortunate.” Photo by Taylor R. Wilson, courtesy of Nebraska Medical Center. What’s next for you in life? I’ve always tried to orient myself professionally toward pursuits with compassion behind them. I’ll keep doing that. I’ll keep fighting for a better future for all of us, where people have access to things like health care. Professionally, things are a bit up in the air. Maybe I’ll get a job. Maybe I’ll keep writing. But I know that I’m going to continue to use Buddhism’s lessons, as well as my own experiences of the value of human beings, to guide what I do. I know that might sound a little lofty and maybe even pretentious, but I think it’s important to have some sense of responsibility for your environment. How has this experience changed your understanding of Buddhist practice? It has made me understand how important it is. When I was really sick and confronting the fact that I might die, the thought kept arising in my mind: “I wish I’d spent more time deepening my understanding of dharma.” Buddhist texts tell us that a human birth is a precious opportunity and we’re blessed to be exposed to the teachings. I hope that as I get older, I’ll be able to deepen my practice so that I can be of more use to my sangha and friends and be able to better care for the people around me. 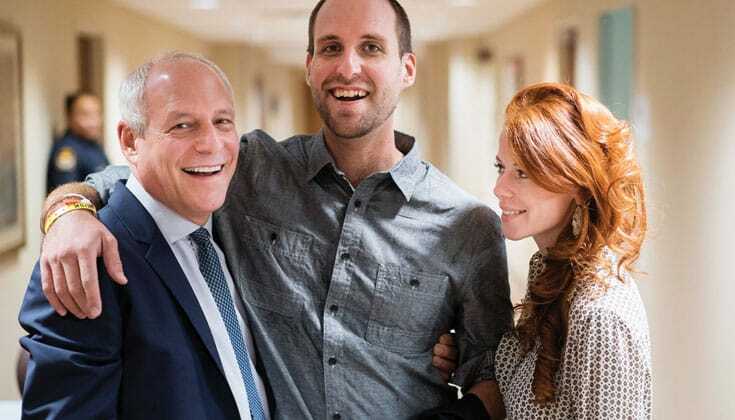 Ebola free, Mukpo is reunited with his partner, Helen Finlay, and his father, Dr. Mitchell Levy. He say it was “exquisitely joyful” to be with his loved ones again. Photo by Taylor R. Wilson, courtesy of Nebraska Medical Center. Do you want to go back to Liberia? I’ve realized my status as a survivor gives me a connection with other people who’ve survived this virus, and I’m hoping that at some point I can be of help to them. So I don’t know when—and I wouldn’t say it’s in the immediate future—but at some point I’ll be back in Liberia.